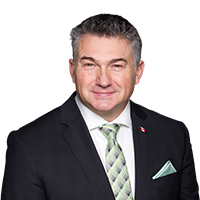 Selkirk, MB – James Bezan, Member of Parliament for Selkirk-Interlake-Eastman, was pleased by new funding announced for the communities of Pinawa, Gimli and Alexander. Over $100,000 in funding went to keep our local municipalities thriving. “I wish to congratulate Pinawa, Gimli and Alexander on securing funding from the Government of Canada and the Federation of Canadian Municipalities. The Green Municipal Fund and Municipal Asset Management Program continue to provide excellent support to our local towns and rural municipalities. “The Local Government District of Pinawa and the Rural Municipality (RM) of Gimli each received $50,000 for the purchase of their asset management programs. These systems will be used to further develop the inventory of local assets and plan for future maintenance and upgrades in a more efficient manner. “The RM of Alexander also received $28,000 to enable great improvements to be made to their asset management system that is already in progress. Office of James Bezan, M.P.